Yoga and Ayurveda a holistic way of healing. The body and the mind are in state of constant interaction. Yogic science does not demarcate where the body ends and the mind begins, but approaches both as single, integrated entity. Yogic science and Ayurveda stemmed out from the great tree of knowledge ‘Vedas’ that encompasses all of human life and the entire universe. Yoga and Ayurveda are not separate but part of holistic healing system, each performing overlapping functions for greater good of humanity. Ayurveda the knowledge of life and Yoga the knowledge of oneself complement each other to balance mind, body and soul. Yogic asanas, Parnayam, Astang Yoga, Ayurveda lifestyle, diet, herbs and exercise helps to protect, regain the esteemed treasure of our life ‘Good health’. Asanas & Pranayam for good hair. Halasana (Plough pose). Trikonasana (Triangle pose). 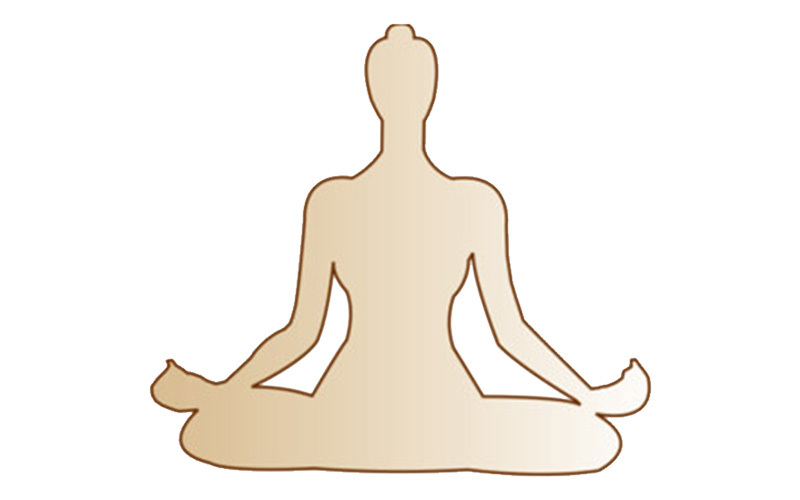 Pawanmuktasana (Knees to chest pose). Matsyasana (Fish pose). Yoga for good physical and psychological health. Padmasana.